NASA has announced the selection of Boeing and SpaceX projects for the new manned spacecraft development phase. 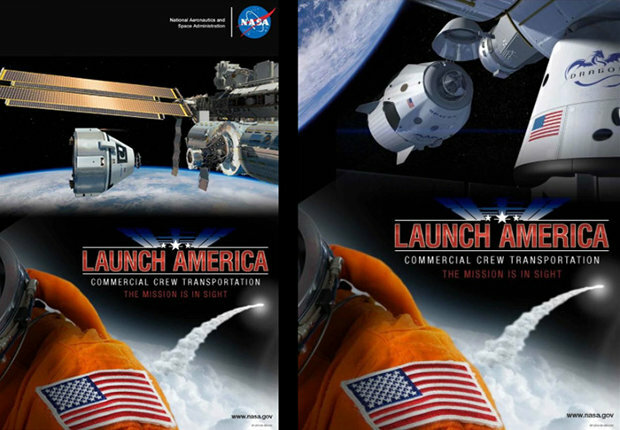 About two years ago, the two companies were among those which received funding in the Commercial Crew Program (CCP), the NASA program that aims to help the development of commercial space transportation. Now the contract called Commercial Crew Transportation Capability (CCtCap) is designed to complete the spacecraft with the idea of ​​getting to the transport of astronauts in 2017. Boeing showed its CST-100 spacecraft in June 2014. The company will receive funding for a total of $4.2 billion. SpaceX presented its Dragon V2 spacecraft, the manned Dragon version at the end of May. The company will receive funding for a total of $2.6 billion. The contracts provide for NASA certification of the selected spacecraft. Once the certification is completed, they will be used to send astronauts to the International Space Station and to bring them back to Earth. After the end of the Space Shuttle program, the USA have turned to Russia for these services. The costs are very high and the recent tensions between the two nations make it more necessary than ever to develop an autonomous solution. The contracts include at least one manned test flight for each company with at least a NASA astronaut on board to check that everything works as required. The system that includes rocket and spacecraft must be able to make the launch, maneuver in orbit, dock with the International Space Station and the internal systems must operate according to the parameters defined by NASA. Once the test has been completed successfully, each company will perform between two and six manned missions to the International Space Station. The spacecraft will also be used as a potential lifeboat in case of an emergency on board the Station. From this stage Sierra Nevada Corporation was left out after the company received funding in recent years to develop its Dream Chaser mini-shuttle. The company has expressed its disappointment and obviously now it remains to be seen if it can continue the development of its spaceship. With this NASA announcement, the development of American spacecraft can proceed with new financing that should enable Boeing and SpaceX to complete their projects by 2017. This may also allow the birth of space tourism because there are companies such as Bigelow Aerospace interested in creating orbital hotels that will require spacecraft for transporting tourists.